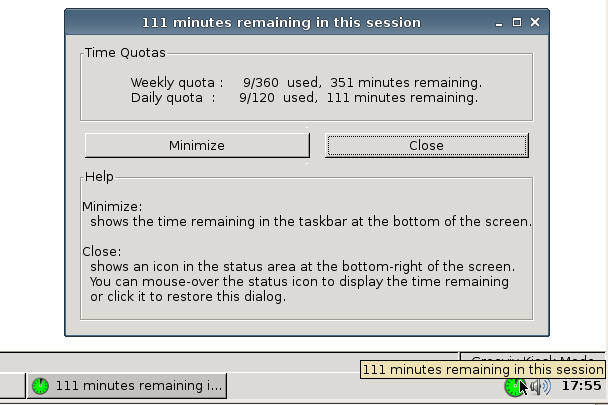 Groovix PacTime shows users how much time they have remaining in a minimized window or when mousing over the system tray icon. Groovix PacTime provides time management for both unauthenticated and authenticated usage. When no username or password is required, only a maximum session time quota can only be set. In authenticated mode, each user can have monthly, weekly, daily, or session time quotas.